The following article by Irene Jones was published in the Friends of the Mississippi (FMR) September Newsletter. In spite of numerous yet unsuccessful attempts to build a hydroelectric power plant at St. Anthony Falls, Crown Hydro LLC is giving it another try. Their most recent proposal is not garnering much support, however, and many folks—including the City of Minneapolis and the National Park Service–are saying it’s time for Crown to go back to the drawing board. When the project was first conceived in the mid 1990s, the plan was to put the hydroelectric operation inside the Crown Roller Mill building on First Street (historic mill tunnels run underneath). The Federal Energy Regulatory Commission (FERC) granted the required license for the project, but a few years later the project hit a snag because the building was no longer available. For many years afterwards, Crown tried to convince the Minneapolis Park & Recreation Board to allow the project to be built on parkland instead of at the original location. When they could not get MPRB to cooperate, Crown asked FERC to help them take the land by eminent domain. 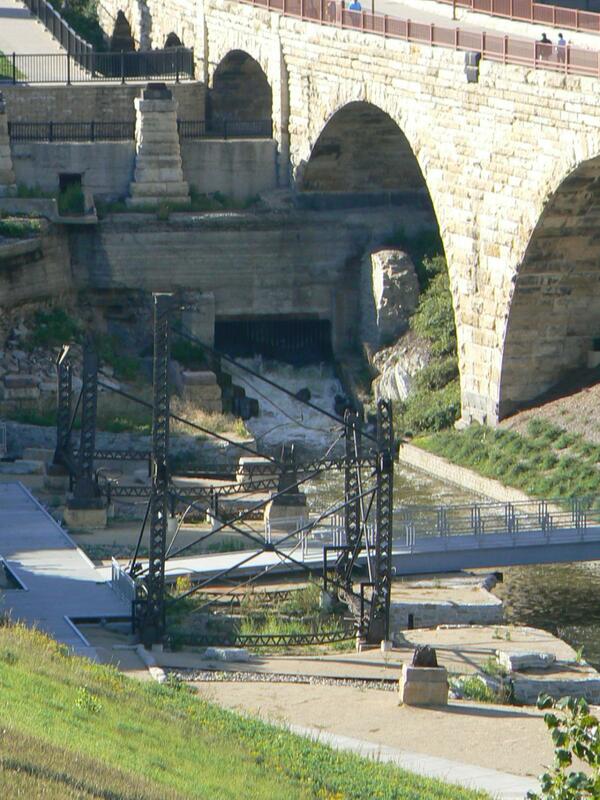 When that effort fell flat, they proposed moving the project to yet another location on Army Corps land at the Upper St. Anthony Falls Lock. But the real issue is not that the project keeps changing…it’s that the surrounding area keeps changing. During the past 20 years this area has transformed from abandoned mills and railroads to a thriving neighborhood filled with hip urban establishments such as gourmet restaurants, places to shop, the Mill City Museum and the Guthrie Theater. Neighborhood residents have concerns about the possible noise, vibration and scenic impacts the operation will cause and Crown has not provided satisfactory answers to their questions. FMR has raised questions about the process and how a new hydro project might affect the aesthetic flow over the falls. MPRB is resorting to filing a formal complaint with FERC about the project and the process. This entry was posted in Crown Hydro on September 17, 2015 by citoyen1789.